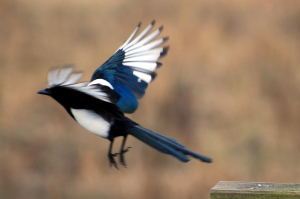 Observation - Magpie - UK and Ireland. Description: In flight, flying out of the picture. In flight, flying out of the picture.